We’ve teamed up with the AMAZING team over at Green’s to combine our Stag & Hen UK packages with your very own professional in-house caterers. 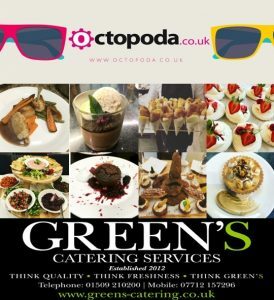 We’ll locate & arrange your accommodation, arrange transport to a from if required add an activity or two as a finishing touch then get on the ‘OctoPhone’ to the team at Green’s to create the ULTIMATE party package! For a little ‘taster’ (check out the inspired Harry Potter themed afternoon tea!) jump over to their Facebook page https://www.facebook.com/greensloughborough/ then ‘jump back’ and get in touch with your requirements.